Roche said today it will establish a CHF 450 million ($467.2 million) diagnostic manufacturing facility at China’s Suzhou Industrial Park, the pharma giant’s eighth worldwide and first in the Asia-Pacific region. The facility – set to become fully operational by 2018 – will focus on producing immunochemistry and clinical chemistry tests and will grow its workforce to more than 600 people “over the next several years,” Roche said. “The new manufacturing site will enable us to meet the growing demand for our diagnostic products, ensuring our continuous contribution to the health of people in China and the Asia Pacific region,” Roland Diggelmann, COO of Roche Diagnostics, said in a statement. Roche now employs more than 4,000 people in 15 countries across the Asia-Pacific region, where it has had a presence for 40 years. In China, Roche became the first foreign-based pharma giant to open a drug-discovery research center in 2004 at Zhangjiang Hi-Tech Park. This year, the region has generated the fastest growth for Roche Diagnostics, with first-half 2014 sales rising 15% over the first six months of 2013, to CHF 877 million ($910.4 million). 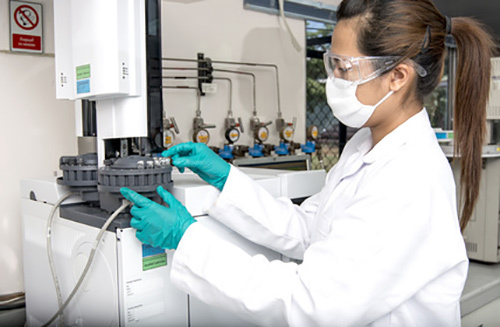 Asia-Pacific sales growth reflected in part demand for professional diagnostics. “The sales increase in Asia–Pacific was also influenced by increasing sales in China (+24%) coming from governmental healthcare investments, public demand and the division’s expanding presence and wide portfolio,” Roche stated in its Half-Year Report 2014, covering January-June results. While a Roche sales office in Hangzhou was “visited” earlier this year by local authorities investigating the practices of multinational pharmas, the company has not experienced the official wrath visited upon GlaxoSmithKline, which in September was fined almost $500 million by a Chinese court that meted out prison sentences to five of its former executives. Roche also strengthened its Asia-Pacific presence last year by launching a partnership with Ascletis to develop and commercialize Roche’s investigational small-molecule NS3/4A protease inhibitor danoprevir in China for Hepatitis C virus. Ascletis agreed to fund and oversee development, regulatory affairs and manufacturing of danoprevir in greater China – including Taiwan, Hong Kong and Macau – in return for an undisclosed amount of development and commercial milestone payments from Roche, plus royalties.